One of the holiest of holy festivals and fairs of Hindus – the Kumbh Mela – attracts the largest number of religious and spiritual seekers at one place who come down to receive their blessings by bathing in the waters of the River Ganges during this particular auspicious festival. Interestingly, Sahaja Yogis in Haridwar had hosted a big stall in that fair where a very successful Self Realization program during Kumbh Mela was worked out to reach more than 31,000 seekers from various parts of the globe from March to April 2010. The seekers who received their Self Realization were from all sects including the ritualistic sadhus (saints) and various religious seekers. There were such moments that can be described as unique experiences of its own kind (never heard of before), as many saints who had come from the high recesses of the Himalayas just expressed their anxiousness to receive their Self Realization. They just turned up near the hosted stall of Sahaja Yogis, and when asked what they were seeking they said affirmatively that they had come all the way to receive their Self Realization, as if they knew everything beforehand like any other expert who could tell what is going to happen next. One of them claimed after seeing the photograph of Shri Mataji after the Self Realization that they have already met Her with Her holy darshan at Himalayas from where they were coming to attend this special event. According to astrologers, the “Kumbh Fair” takes place when the planet Jupiter enters Aquarius and the Sun enters Aries. Kumbha (Kumbha means pot) Mela (means fair) is a sacred Hindu pilgrimage festival. It takes place at the following four locations of India: Prayag at Allahabad (Uttar Pradesh), Haridwar (Uttarakhand), Ujjain (Madhya Pradesh) and Nasik (Maharashtra). The origin and significance of this Kumbh is very ancient and dates back to the time of the churning of the primordial sea (Samudramanthan). The resultant effect of this primordial churning is said to ensue a fierce battle between Gods and demons (Asuras) when the pot of nectar of immortality, called the “elixir of life” came out of the sea. The legend says that to prevent the vessel of ambrosia (Amruta) being snatched away forcibly by the powerful Asuras, four designate deities, namely Brahaspati (Jupitar), Surya (Sun), Chandra (Moon) and Shani (Saturn), were entrusted to take it to a safer place for the gods. Asuras, learning of the conspiracy, turned furious and chased these four gods running away with the vessel. This legendary chase is said to have lasted for twelve days and nights during which the Devtas and Asuras went round the earth. During this chase the Devtas (deities) put the prized vessel containing ambrosia at Haridwar, Prayag, Ujjain and Nasik. According to Indian Holy Scriptures and Puranas, during the process of the fight that ensued between the Devtas and Asuras over the rightful possession of the Amruta, it spilled out of the vessel at these four places which turned them into holy places on earth during the chase. To commemorate this holy event of chasing and shifting their hiding places with the vessel of the Amrut, Kumbh is celebrated at the above four places periodically. In India the festival is religiously very important for the Hindus. At every Kumbh occasion, millions of Hindus take part in the celebrations. During the 2004 Kumbh at Haridwar, more than 10 millions devotees were said to have participated at the site. Saints, seers, priests and yogis from all corners of India gathered to participate in Kumbh. Haridwar is considered very holy, due to the fact that the River Ganga enters the plains cascading from mountains through this route. It is popularly believed since ancient times that bathing during this Kumbh season in the waters of the Ganges helps cure the seeker of all sins and evils, while granting one salvation and boons. It is also believed that during the phase of this Kumbh the water of Ganga is charged with positive healing effects. 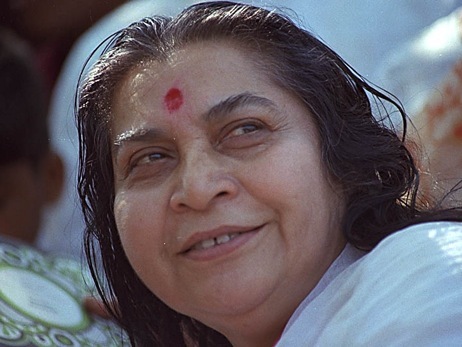 The following story is from a book of recollections of Sahaja yogis throughout the world of experiences they had while with Shri Mataji in India. “This was around 1990. 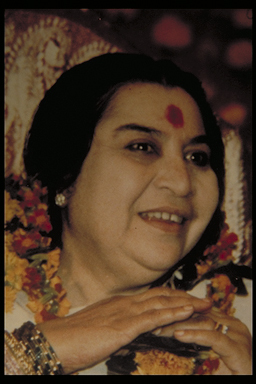 Shri Mataji was arriving in Mumbai one day and we were getting ready to go and welcome Her. 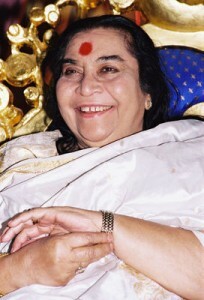 My wife had had a dream the night before, of Shri Mataji sitting in our car. My wife advised me to clean our car in case Shri Mataji would need to use it. It was untidy and all kinds of marketing tools were on the rear seat. Knowing that Shri Mataji would not be invited to sit in such a car, given the protocol for showing Her respect and love, a good clean car was required, decorated with a nice cloth and some flowers. Because of this I felt She could not possibly choose my car, and off we drove to the airport. However, like in my wife’s dream, it so happened that Shri Mataji’s daughter, Kalpana, was unable to come and welcome Her, and to my great astonishment somebody walked straight up to me and requested me to take Shri Mataji in my car. I did my best to adjust the back seat as fast as I could and made sure all the business stuff was put in the boot in a few seconds. Then Shri Mataji came and sat in the car. “Ah, you have a nice car!” She declared, smiling. From Eternally Inspiring Recollections of Our Holy Mother , Vol 1, Stories from India. Pune: Nirmal Infosystems & Technologies, 2006. P. 114-5. The brain must be used to understand clearly what are the ideals of a Sahaja Yogi, what are the things that a Sahaja Yogi should do, how he should behave in life, what methods he should follow. And then he has to bring it to his heart, through the meditative processes, through surrendering. How I give you second birth you know very well. I conceive you in My Heart, otherwise I cannot do it. Because My Heart is so pure, it cleanses you. By compassion, My Love cleanses you and then I can take you out of My Sahasrara … And when that has happened, you become a new personality. Let us establish within ourself, on a subtle level, the desire to be pure and to be cleansed out – all the barriers and unclean things that are within us – to desire to be great Sahaja Yogis, desire to be responsible Sahaja Yogis and desire to be surrendered to your Mother. It’s not difficult. The last one is the easiest because … I don’t want anything from you, except that you accept My Love. Surrendering just means you open your heart to accept My Love. Give up this ego – that’s all – and it will work out. I’m sure it’s going to work out. A certain amount of understanding should be there and you must feel My Love in your heart, that’s all. I don’t want to make anybody unhappy. 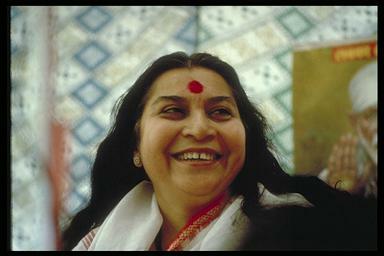 Sahaja Yoga has come to make you extremely happy, joyous and peaceful. Sitting down, you can reach the world. You can feel the kundalini of any person in the whole world and you can cure the chakras or improve the chakras of the other person. Sitting down here you can do it. You can tell about the condition of the kundalini of another person. If you glance with these innocent eyes, you can do so much good, so much benevolence for other people. And sitting down here, you can know about anyone you want to know. You don’t have to go anywhere or telephone to anyone. Just sitting down, you will know what is the situation of the chakras of this and that person because this power, which is all-pervading, is a more efficient communication power than anybody can think of. It is so alert, so attentive, so precise that, surprisingly, it works in a split of a second…. Then you become so confident that you are protected. You know you are protected. So we come to the subtler side. And the subtler side of Sahaja Yoga is extremely simple. Is Compassion. Is Forgiveness. Is Love. But the greatest of all is the Service to God. We are doing the work of God. How can we be tired? The dynamic is flowing through us, that Compassion is so fulfilling, that love is so beautifying, that how can we not do it? We should run to do it. But you have to know that this love has a tremendous urge within itself.